WILLEMSTAD – The President of Parliament, Mrs. Giselle Mc. Williams postponed all the parliamentary meetings that were scheduled for this week until further notice. 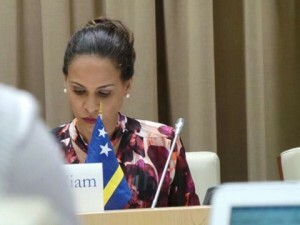 This week Parliament was supposed to talk about the letter received from the Council of State on the proposition to give the Members of Parliament from Aruba, Sint Maarten and Curaçao the opportunity to submit Kingdom Law proposals. Parliament was also going to talk about the local airline InselAir together with the Ministers of Traffic, Transportation and Spatial Planning, Finance, and Economic Development. Another agenda topic was air traffic safety.